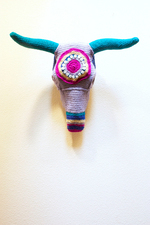 Have a budding animal lover in your midst? Camp Kindness at the Sacramento SPCA is a great way to teach your kids about dogs, cats and other companion animals, through demonstrations, games, tours and guest speakers. Five-day summer sessions run June through August for ages 7-9, 10-12 and 13-15. Don’t miss out on the fun—sign up now! 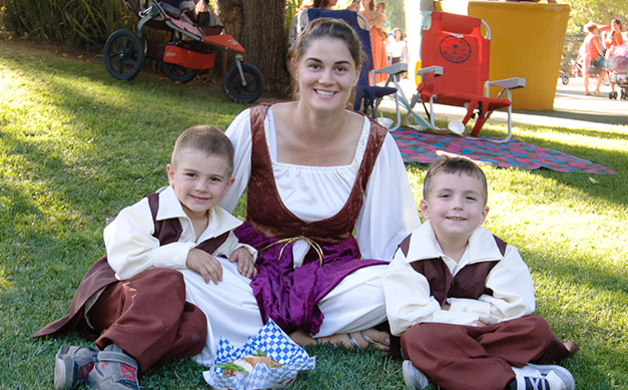 Bring your Sleeping Beauties, Ugly Ducklings and Frog Princes to Fairytale Town’s Storybook Park on June 17 at 5:30 p.m. for an exciting Family Campout. Admission includes a theater performance, arts and crafts, a scavenger hunt, bedtime stories, continental breakfast and more. Never underestimate how much fun art can be for kids. The Crocker Art Museum’s Kids & Company Gallery Adventure is a perfect introduction to art for ages 5 and older, and it’s a great way for adults to see art through kids’ eyes too. The adventure takes place on the first and third Sunday of every month, 10:30-11:30 a.m.; free for museum members, or free with general admission for nonmembers. Bring your little one (up to 18 months old) to the Crocker Art Museum for the Baby Loves Art program, a stimulating gallery walk that allows babies and parents/caregivers to connect through art. Baby noises are A) expected and B) welcome. Front carriers recommended; strollers allowed, but please no backpacks. Held every third Tuesday of the month, free for museum members, or free with general admission for gallery nonmembers. Meet at the admission desk; no advance registration required. Folsom Parks and Recreation has so many summer camps this year, so far I’ve narrowed my choices down to NASA Camp, Grossology Camp, Mythical Creatures Art Camp and British Soccer Camp. Oh, and Princess Camp. (Shh…don’t tell them I’m 40 years old.) Sessions begin this month and run all summer long. Sign up now and check out all the great programs on offer for kids of all ages. Is your child a natural at child’s pose (pun intended)? 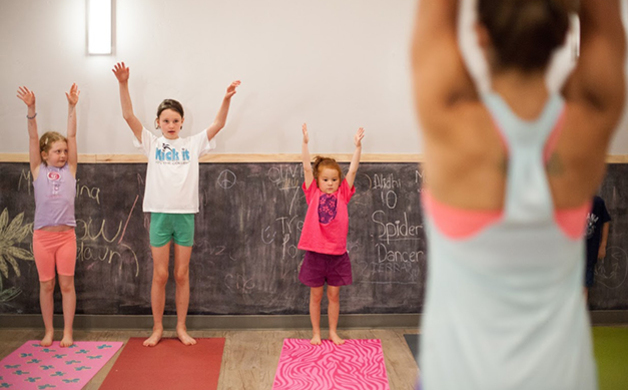 Sign them up for the weeklong Mighty Kids Yoga Camp an empowerment program promoting self-esteem through a fun combination of asana, art, cooking, meditation and crafts—from June 20-24. There are only so many YouTube videos and Thomas the Train episodes a parent can handle. Give your tiny train-junkies the real deal! Ride the rails at Folsom Valley Railway on a miniature scale steam-powered replica located near the Folsom Zoo or climb aboard the Placerville and Sacramento Valley Railway, which runs full-sized, open-air train rides from Historic Folsom (among their many offerings). Bonus: Kids under four ride free! “In the jungle, the mighty jungle, the Daddy sleeps tonight.” What better way to spend Father’s Day evening (June 18) than at the Folsom Zoo Sanctuary’s King of the Forest Sleepover? Enjoy a nighttime flashlight tour, stories about creatures of the night and a sleepover on one of the zoo decks. Parents of El Dorado Hills, you’re welcome. On June 17-18, El Dorado Hills Community Services District is hosting a Parents’ Night Out (aka, kids’ sleepover) at the CSD Gym for kids aged 6-12. Cancel the babysitter and bring your kids to the gym for a night full of awesome activities like a pizza pig-out, late-night swim and a good old-fashioned sleepover. Space is limited, and pre-registration is required. Fee includes dinner, pool admission, a light breakfast and snacks. 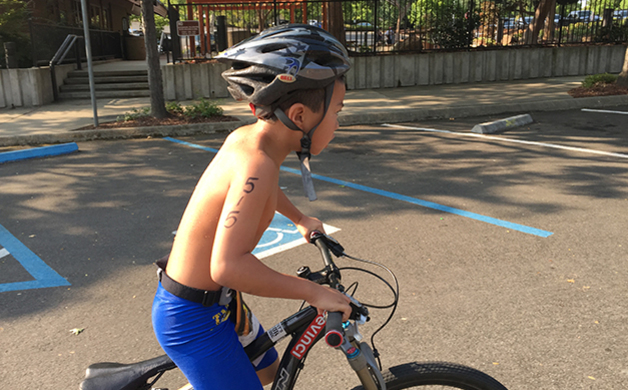 Get your kids in training for the Iron Hills Youth Triathlon on August 13 at 8:30 a.m. at the El Dorado Hills Community Park and CSD Pool. This is a fun and safe event for kids ages 15 and under. All racers will receive a ribbon, T-shirt and race bag. 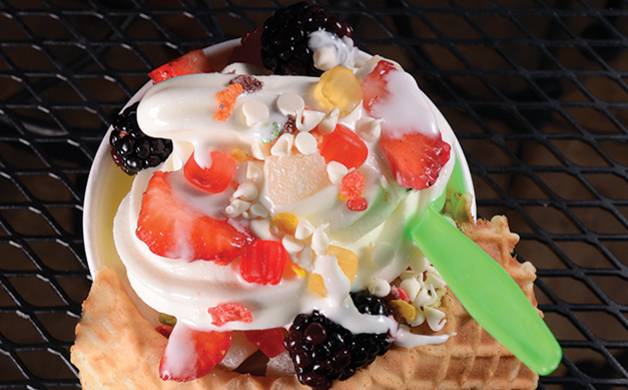 10 local and regional ice cream, shaved ice, frozen yogurt and gelato magicians—Style staffer tested…and approved. Oh, we know there’s more: We’re just getting you started! 1. 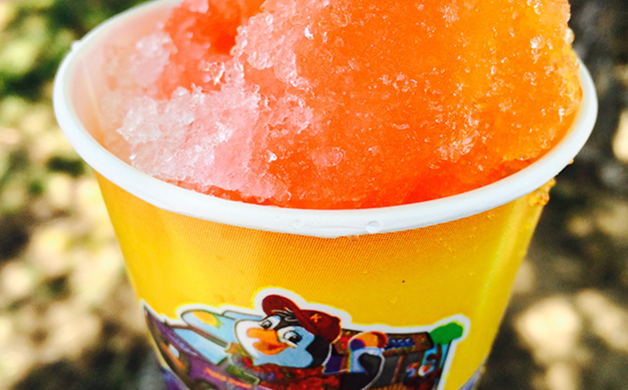 Kona Ice, Folsom—Mobile, Hawaiian-style shaved ice in a rainbow of flavors; available to shave at any event—no matter how big or small! 5. Zia’s Italian Caffe & Gelato Bar, El Dorado Hills—A taste of Italy in EDH…so much good gelato and sorbetto! 7. Rita’s Italian Ice, Folsom—Italian ices, frozen custard and more! 8. Osaka-Ya, Sacramento, 916-446-6857—Specializing in Japanese shaved ice (we recommend getting the “ice cream upgrade”) featuring finely shaved ice right off the block with freshly made syrups. “I know a bank where the wild thyme blows, where oxlips and the nodding violet grows…” Come ye to the Midsummer Night’s Dream and Crystal Ice Cream Fantasy at Fairytale Town on June 25 from 5-9 p.m. Enjoy William Shakespeare’s fairy-themed play while noshing on all-you-can eat ice cream! Family costumes encouraged. Get into high spirits this summer at Gold River Distillery in Rancho Cordova—the first legal distillery in Sacramento since Prohibition! 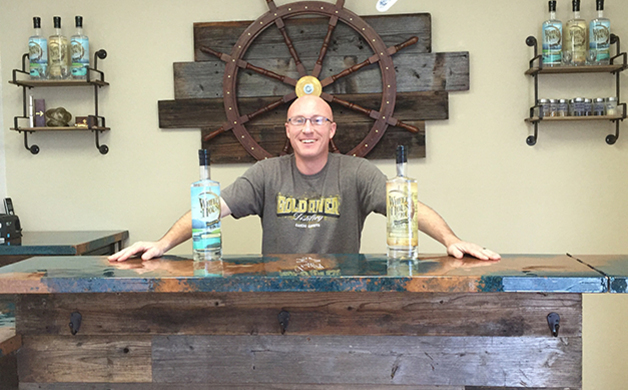 Check out their Wheelhouse American Dry Gin and Wheelhouse 916 Vodka at the tasting room, open Wednesdays and Fridays from 4-7 p.m., and Saturdays from 11 a.m. to 3 p.m. Don’t miss the monthly featured mixers as well; private tours available. Don’t miss one of El Dorado Hills’ hallmark social events—Rotary Wine at Town Center, on June 11 from 6-9 p.m. at the Steven Young Amphitheater and Sandra’s Rose Garden. 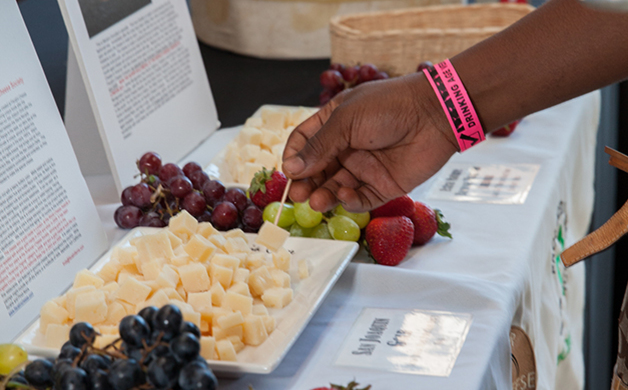 Enjoy wines from some of El Dorado, Amador and San Joaquin Counties’ finest wineries, as well as breweries and restaurants, plus live music and a silent auction. June 4 marks the second annual Friends of the Folsom Powerhouse Association’s Powerfest Taps and Tunes. Have a beer (or three) to celebrate the beginning of the Sacramento region’s brewing industry at the Folsom Powerhouse State Park. There’ll be beer tasting, live music, tours and more. 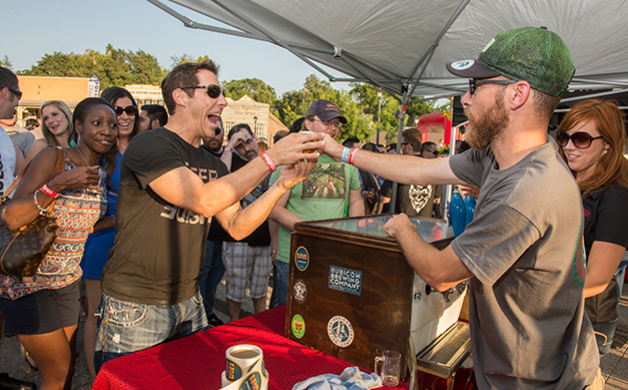 Speaking of beer, 2016’s TAP Folsom, returns this summer: Mark your calendars for August 5 so that you don’t miss any of Historic Folsom’s amber nectar, along with food trucks and music. 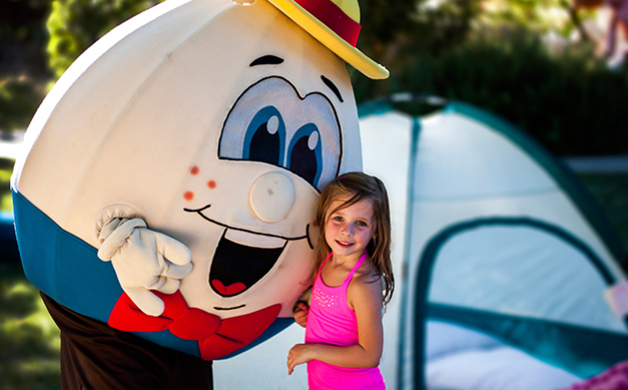 Every second Wednesday through August, hop on over to Hump Days at El Dorado Hills Community Park. 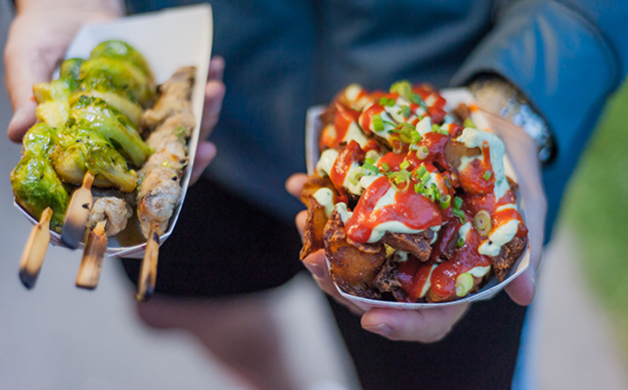 Presented by Food Trucks in the Foothills, get your fill of delicious food from great, local food truck vendors! Brave the wild for Folsom Zoo Sanctuary’s Food Truck Safari on June 15 from 5-8 p.m., and every third Wednesday of the month thereafter. Presented by SactoMoFo and the Folsom Zoo Sanctuary, enjoy great food from food truck vendors, live music and great entertainment! Take a culinary trip to Italy right here in Folsom with Murer House Italian Cooking Classes on Saturdays throughout the summer. Learn how to make homemade ravioli, melanzane alla Parmigiana (eggplant Parmesan) and more! 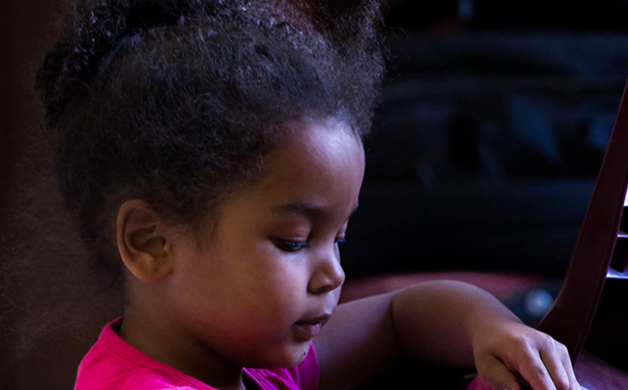 Some classes are even kid-friendly, so you can make it a family affair. Molto bene! 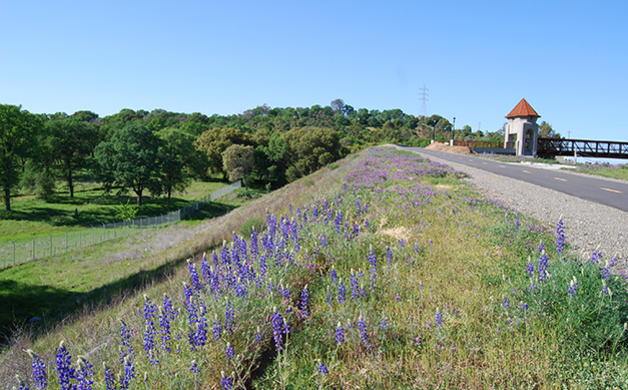 The new pedestrian bridge at Folsom Lake Crossing and East Natoma Street heralds the beginnings of an exciting Folsom project, the Johnny Cash Trail, expected to be completed in 2017. Inspired by Folsom Prison’s iconic East Guard Tower, the new bridge will soon be the gateway to miles of walkways and public art. 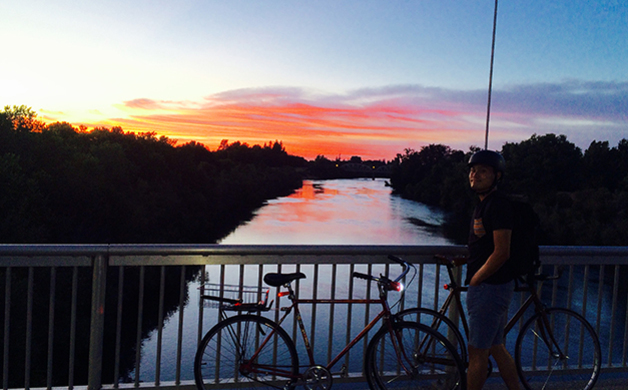 If you wanted, you could ride or walk clear to Sacramento, what with 32 miles of paved trail available for you via the American River Bike Trail. 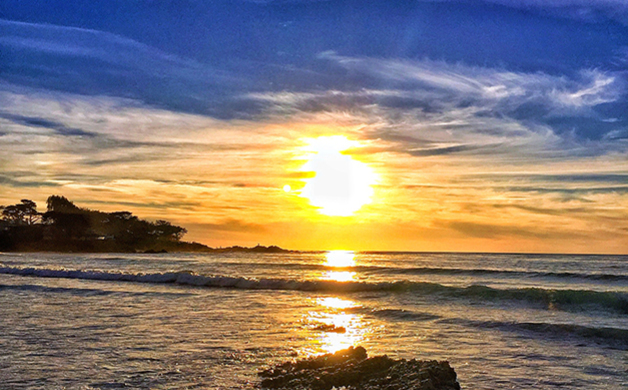 Just in the Folsom surrounds, you can stroll, hike or bike around Folsom Lake or Lake Natoma, or venture to your favorite swimming spot. Take in the gorgeous surrounds and say hi to your neighbor as they pass by! 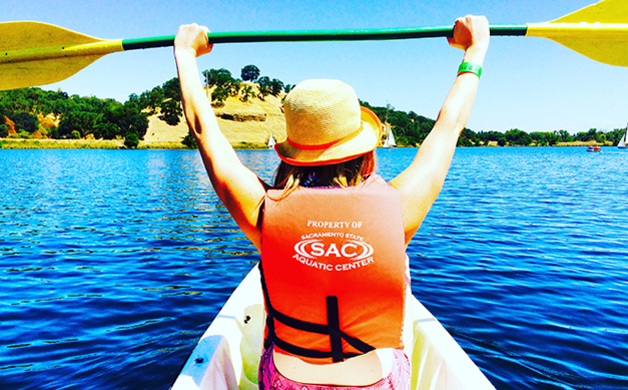 The Sac State Aquatic Center is the premier facility for kayak rentals, hydro bikes, paddleboats or bike rentals, so take advantage of some on-the-water fun this summer. If you’re a newbie, the Aquatic Center also offers great classes for the general public to help you stay on your game and be water-smart! Sometimes you don’t want to hike—you just want a view. 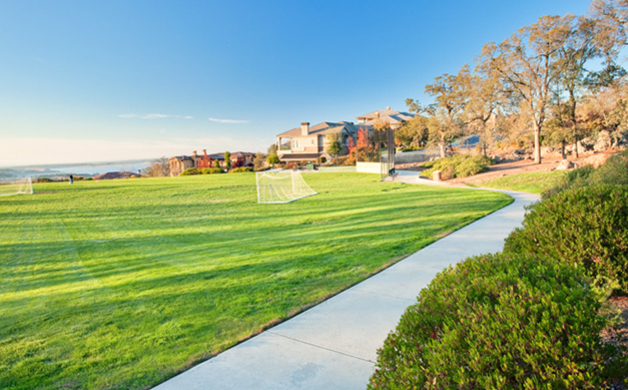 Kalithea Park is tiny and tucked away in El Dorado Hills, offering one of the best views of Sacramento and the surrounding area. If it’s clear enough you can see all the way downtown...perfect for a late summer’s evening picnic. Get a dose of living history in Historic Folsom at Pioneer Village, open Tuesdays through Sundays from 11 a.m. to 3 p.m. See blacksmithing demonstrations, go gold panning and tour the oldest freight station. It’s Blondie time at Folsom Lake; i.e. the tide is high! OK, the water level is high. Anyway, we can finally enjoy some swimming again. 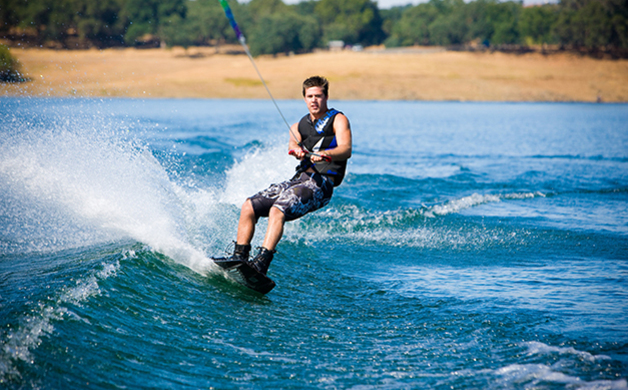 Wakeboarding, fishing, stand-up paddleboarding, waterskiing, whatever floats your boat…get out and show your favorite body of water some love this summer! The family-owned and operated Steve Wallen Swim School has been an institution for 35 years since its humble beginnings as a backyard operation (literally). There are classes for every age and every skill level—kids, adults and anyone in between. Don’t give up on fun this summer; gain the confidence you need to swim with the big fish! 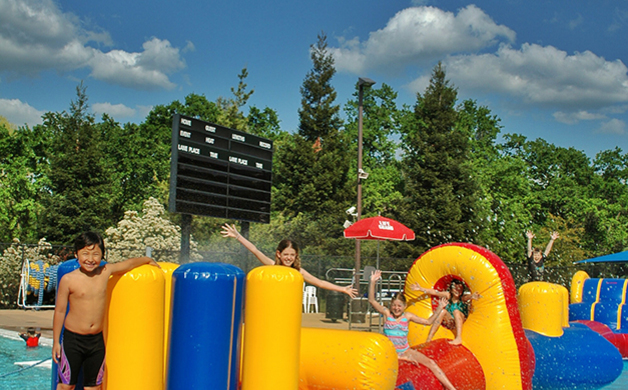 Splash out this summer in the Marshall Splash Zone at the El Dorado Hills Community Pool. Tackle the giant inflatable obstacle course donated by the Marshall Medical Center starting June 6 on Mondays, Wednesdays and Fridays from 7-9 p.m. and Sundays from 2-7 p.m.
It’s high time you signed up for swimming lessons at the Folsom Aquatic Center, With offerings for kids of all ages, as well as adult classes for almost any skill level, there’s also free autism spectrum parent-child participation classes (developed with the support and guidance of Heidi Lockett, OTR/L, owner of Heidi’s House Pediatric Therapy). Want a real taste of Sacramento? 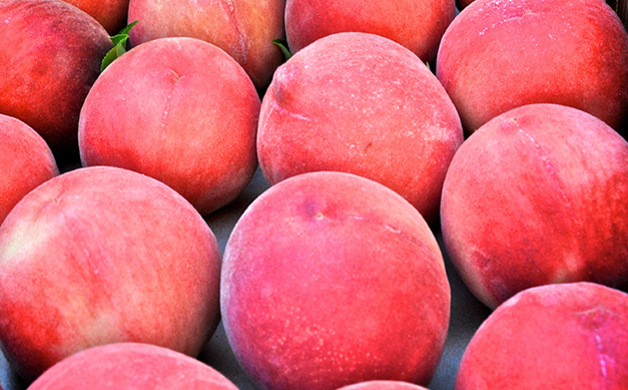 Local Roots Food Tours has the 411. Get to know Midtown like a hip local with the Urban Art Food and Libations Tour; experience the K-Street revival with the Gourmet on K Walking Tour; or stroll East Sacramento and the Fabulous Forties and get right to the heart (and belly) of Sacramento’s food obsession with the Origins of Sacramento Food and Cultural Tour. The Sacramento History Museum offers some great, guided tours through Old Sacramento’s colorful history. 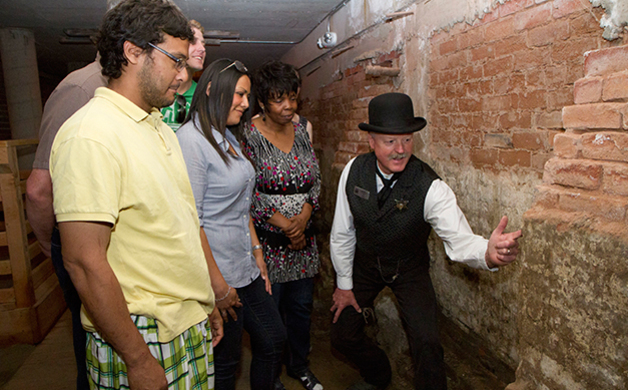 Get into the underbelly (literally) at an Underground Tour, or take an Underground After Hours (over 21s) to see another side of Sacramento history; learn about Sactown’s boomtown origins and how the Gold Rush influenced the city at a Gold Rush Experience Tour; or take the Ghost Tour and find out about the skeletons in Old Sacramento’s closet! 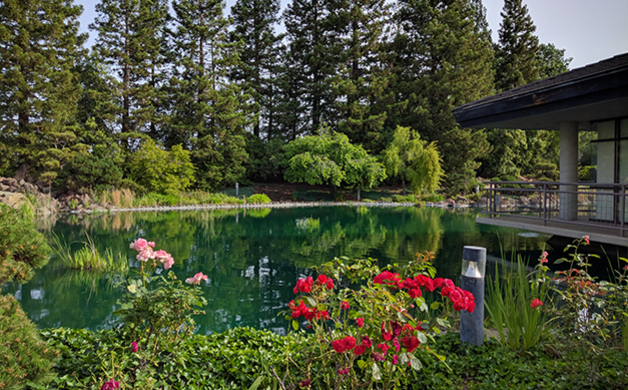 Visit Gekkeikan Sake USA (complete with a koi pond and gorgeous Japanese garden) in Folsom to sample locally produced sakes in the tasting room or take a self-guided tour Mondays thru Fridays from 9 a.m. to 4:30 p.m. and 11 a.m. 3 p.m. every second Saturday of the month; guided tours for groups of eight or more by appointment. They also sell sake sets, Japanese dishes, dolls and sushi-making accessories. 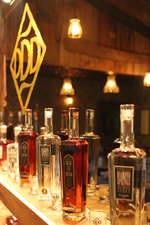 Get a taste of Gold Country, or just a peek behind the scenes, at Dry Diggings Distillery in El Dorado Hills. Choose from three-to-six pour tastings, brandy tasting and whisky tasting; or take the two-hour Mother Lode Tour and find out how the distillery works. Whatever your choice, they’ll leave you in high spirits! Learn how electricity put Folsom and Sacramento on the national map at the Folsom Powerhouse Museum. 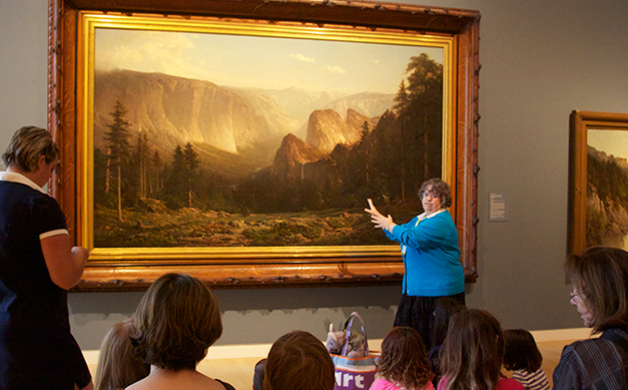 Guided tours by trained and volunteer docents are available during Visitor Center operating hours—noon to 4 p.m., Wednesdays through Sundays. If a summer vacation to Italy is off the cards, try the next best thing and get a taste of Italy right here in Folsom with Murer House and Learning Center Tours the first Saturday of every month. Learn the deep Italian roots of this beautiful historic Folsom home and the history of the man behind the house: Giuseppe “Joe” Murer. The Folsom Historical Society offers a variety of volunteer-led tours for all ages and interest levels, including a Folsom History Museum and Pioneer Village Tour, VIP Tour of the Museum of Wonder & Delight with the museum’s Creative Director Dolph Gotelli (aka, Father Christmas) and a Historic Folsom Walking Tour. You don’t need a tent for the Crocker Art Museum’s Film Series: Adult Summer CAMP!—we’re talking theatrical camp, darlings. Arrive early for a campy Happy Hour cocktail in the Crocker Café, and then cool off in the Setzer Foundation Auditorium for film and fun, with an introduction by local film lover/historian Jacob Greenberg and a campy short film to get you in the mood. 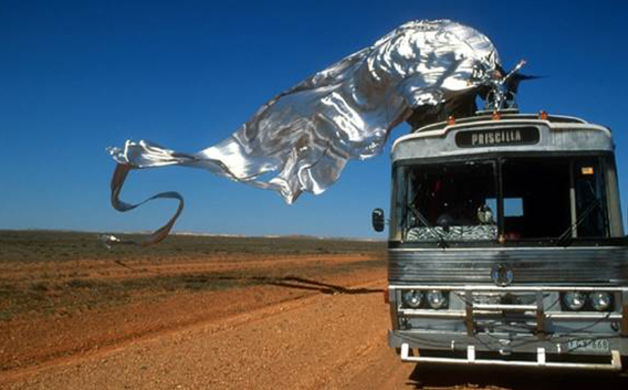 On June 2, 1994’s Australian high-camp extravaganza Priscilla, Queen of the Desert screens. 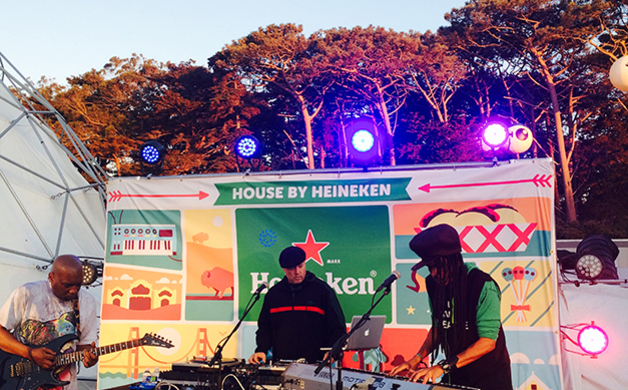 Summer is block party time, and the Crocker Art Museum is throwing the ultimate summer block party, Block By Block and it’s free! Join artists, musicians, community groups, dancers, DJs, urban gardeners, poets, culinary artists and more for a party like no other on June 11 from noon to 7 p.m. at Steve Jones Park. 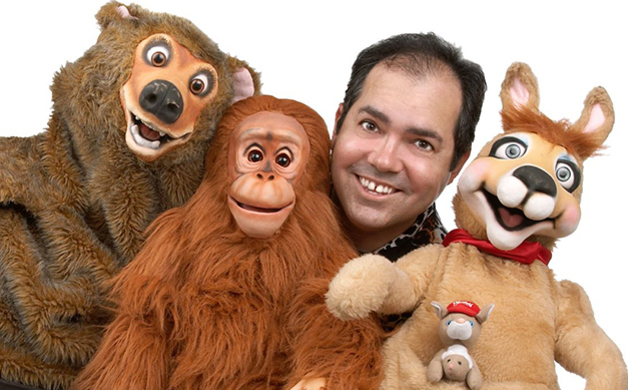 Fairytale Town Children’s Theater presents Animal Olympics, starring magician and ventriloquist Tony Borders. You’ll see a variety of animals learn amazing abilities: a five-handed monkey, an animal that lifts the most weight just by standing up, and more! Don’t miss the fun June 4-5, with shows at 12:30 p.m., 1:30 p.m. and 2:30 p.m. The Harris Center will entertain your socks off this summer (which is good because it’s too hot to wear socks anyway); here’s a taste of what’s in store: The Folsom Lake Symphony presents Hollywood Hits on June 4-5; BOSTYX: the Boston & Styx Experience featuring David Victor (formerly of Boston) takes the stage on June 10; Grammy-winning jazz vocalist Gregory Porter performs on June 19; watch El Dorado Musical Theater’s Alice in Wonderland, Jr. from July 8-17; and don’t miss Chicago: The Broadway Musical from August 18-21. Palladio at Broadstone’s Summer Concert Series is going to continue to rock the party right all summer long. Every Wednesday from 7-9 p.m., a variety of bands—from ’90s rock and ’80s dance to an Eagles and Taylor Swift tribute, modern country, reggae and more—there’s no way Palladio won’t have you dancing in the street! 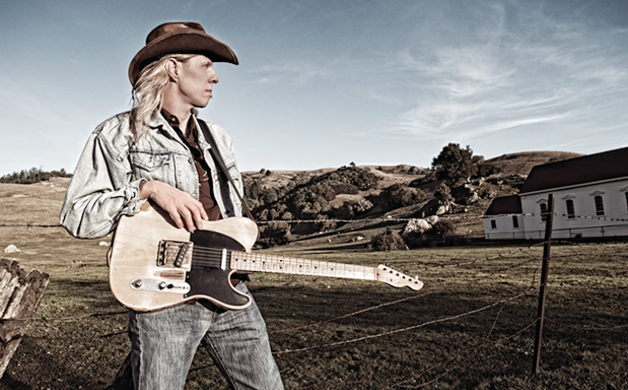 It’s gonna get loud this summer at El Dorado Hills Town Center’s Steven Young Amphitheater for the return of the Live on the Boulevard concert series, Thursdays from 6:30-8:30 p.m. beginning June 16 and running through September 8. It’s festival-style seating so bring your own blankets or chairs, but don’t expect to stay seated for long—this year promises a great “get up and dance” lineup and fun for the whole family. Historic Folsom’s Thursday Night Concert Series is gearing up to rock your socks off every Thursday night from 7-9 p.m. starting June 2 and continuing thru July 28 at the outdoor amphitheater behind the Visitor Center on Wool Street. With everything from a Santana tribute to classic rock and country, there’s pretty much every kind of rock/country/country rock you can think of that’ll get you out of your seat and dancing! June 16 marks the launch of the first annual Guitars4Food Benefit at the Historic Folsom Amphitheater at 6:30 p.m., featuring Danny Click and the Hell Yeahs. The evening will include an autographed guitar auction, with 100 percent of proceeds going to Twin Lakes Food Bank (check the Guitars4Food Facebook page to see some of the great autographs they’ve been getting and dig deep for a good cause!). The event is free to the public, but please consider cash or food donations. It’s electric(! )—the fifth annual Powerhouse Electricity Festival that is, taking place September 10 from 10 a.m. to 2 p.m. at the Folsom Powerhouse Museum. Don’t miss this fun day of interactive exhibits, tours, family and children’s activities and more. Free admission! The iconic portraiture of Andy Warhol is on display at the Andy Warhol: Portraits exhibit at the Crocker Art Museum thru June 19. Don’t miss the chance to see some of his most iconic works up close (Judy Garland, Truman Capote, Sylvester Stallone) along with early sketches, polaroids, photographs and personal memorabilia. Evoke Warhol’s Factory experience with your own “screen test” and start working on your 15 minutes of fame if you haven’t already, or hang out in the recreated factory. Beautiful watercolors by Jeannie Vodden and luminous stone and bronze sculptures by Judi Stickney are on display at Folsom’s Gallery at 48 Natoma thru June 30, part of the Flights of Fancy exhibit; or check out the El Dorado Hills Arts Association’s Studio Tour Preview Show with over 40 artists from 20 studios, on display thru June 23 at the Community Exhibition Gallery. 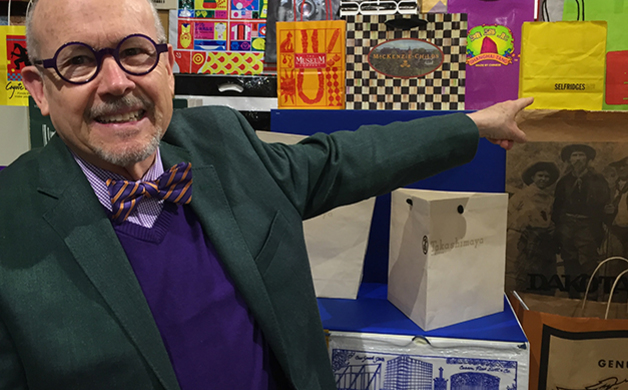 Every second Saturday from 5:30-8 p.m. meet some of the talented artists of the Sutter Street Artists Gallery at an “Artist Reception” located inside The Bag Lady Boutique on Sutter Street. This month’s event on June 11 includes featured artists Bonnie Canning, Joyce Kramer and Lorna Sheveland, along with Lori Anderson and Ruby Pacheco. Take advantage of Folsom Arts Association’s (FAA) various classes and workshops this summer, including a Monthly “Collage” Art Demo on June 16 with Beverly Fields from 6-7:30 p.m. at The Gallery at 48 Natoma, and a “Take It, Trace It, California Vibe It” Watercolor Workshop with David Lobenberg on June 3-5 at the Folsom Lake College Art Lab. 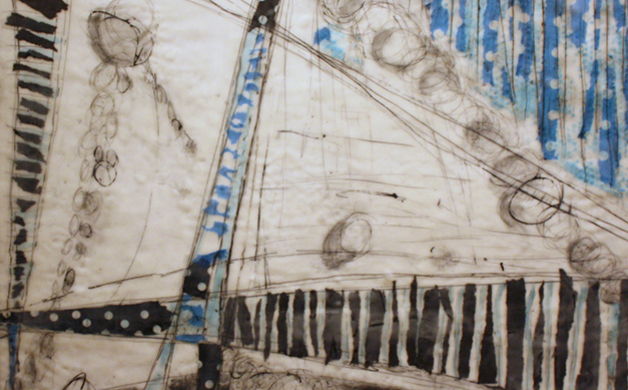 An FAA Members’ Show at the Harris Center’s Bank of America Gallery will also be on display July thru September. And the FAA Art Camp at Folsom Lake College Art Lab will take place in July. Check out the artist demonstrations that El Dorado Hills Arts Association as on tap this summer: Alison Tomei (mixed media) on June 13, Tracy Lewis (watercolor glazing) on July 11, and Abigail VanCannon (plein air set-up and painting in oil) on August 8. EDHAA also offers an array of classes, including a watercolor workshop with internationally renowned artist Shuang Li from August 17-19. 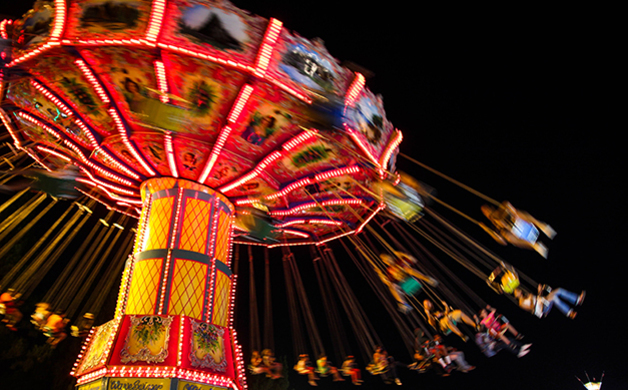 The joyful squeals, smell of cotton candy and fried corn dogs, sunscreen, barnyard “fragrances,” calliope music…yes, these sensory experiences can only mean one thing: It’s summer, and it’s time for the fair. Which one? All of them! Or maybe just your local one! It’s up to you. But don’t stop there. 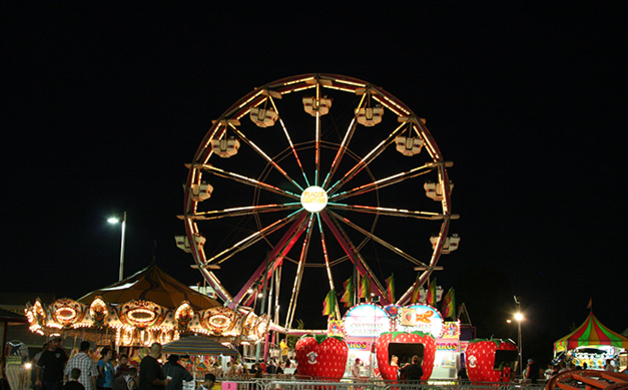 Summer fairs mean summer festivals, so if you haven’t driven yourself into a sugar/fried food coma at the fair, check out some of the local produce festivals, or dance off all the food at some of the great live music festivals. It’s all happening! Alpenglow Mountain Festival, June 18-26 in Tahoe City—a 10-day biannual festival celebrating human-powered mountain sports with events, clinics, equipment demos and more. 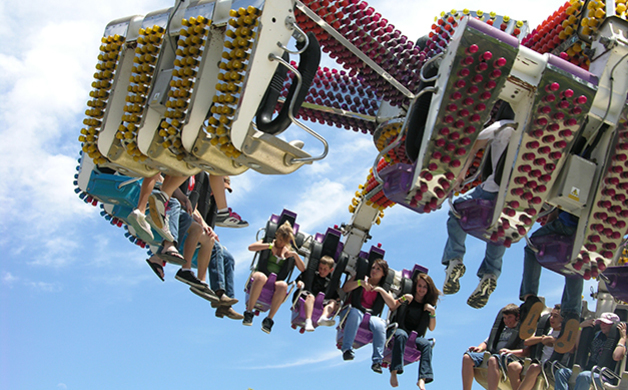 California State Fair Concert Series: July 8-24 featuring Salt N Pepa, Plain White T’s, Chaka Khan, Tower of Power, Dwight Yoakam, Styx, Pointer Sister, Don Felder, and Loverboy, just to name a few! 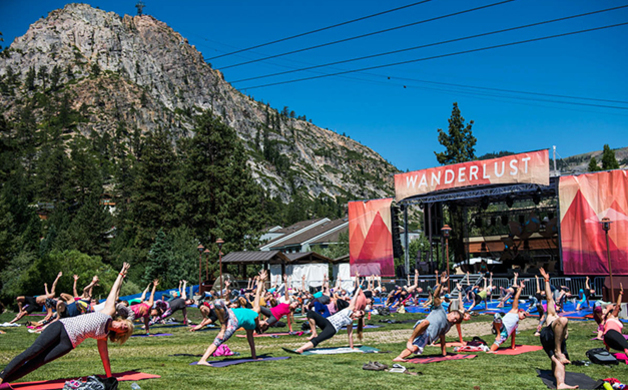 Wanderlust Festival, July 14-17 at Squaw Valley—an extraordinary four-day retreat that combines yoga, music, speakers and outdoor adventures. The ultimate restorative getaway! Bear Valley Music Festival, July 22-August 7 at Bear Valley—Maestro Michael Morgan brings the best in classical symphony, jazz, opera and more…all in a gorgeous mountain setting. Photo courtesy of Megan Wiskus. Outside Lands, August 5-7 at Golden Gate Park—Radiohead, Lionel Richie, Lana Del Rey, Miguel, Third Eye Blind, The Muppets’ Dry Teeth and The Electric Mayhem and more. City of Trees, September 10 at Bonney Field—Weezer, Panic at the Disco, Phantogram and more. All other photos courtesy of their respective companies/organizations.